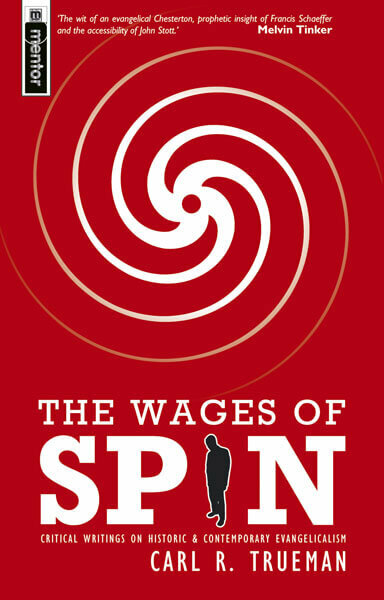 It’s only April, so I can’t really start nominating for Best of the Year award; that said, I have the sneaking suspicion that The Wages of Spin will prove to be the best piece of non-fiction I read in 2012. Yes, it’s that good. Anyone who has read Trueman will know that he’s about as far removed from “easy reading” as the east is from the west. I mean that as a compliment. This guy will truly stretch your brain, and in all the right ways. Just lend him your time and attention. Both will be well spent. Each essay is well-reasoned and well-written, and thanks to Trueman’s witty style, you’ll be both educated and entertained. The first piece, Reckoning with the Past in an Anti-Historical Age, is one of the finest refutations of anti-historicalism (especially as it pertains to Christianity) that I’ve ever read. We’re treated to an examination of the rise of television-driven visual culture in The Undoing of the Reformation, and What Can Miserable Christians Sing? makes a brilliant case for Psalm-singing in church. And that’s just the beginning. 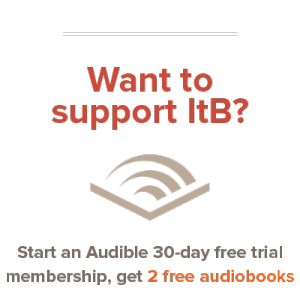 Two of the essays are devoted to defending B.B. Warfield, and I confess I found them to be a little dry. However, I attribute this not to a fault on Trueman’s part, but to my own ignorance of Warfield, his times, and the controversies surrounding him. That’s an ignorance I fully intend to remedy. Below are some of my favorite passages from Trueman’s writings. If, for some reason, I have failed to convince you that this is a must-read, the words of the author himself will lend credence to my recommendation. No skimming, ‘kay?